The sky forms fifty percent of our visual world and has a voice across cultures. This complex sky-voice contains great diversity and is informed by human images, dreams, and aspirations. The inherent nature of this sky-voice is transmitted from one generation to another through text, image, oral tradition, physical mapping, and painted description. This volume is written by some of the most noted scholars in their fields of British history, history of art, social anthropology, Greek horoscopes and narratology, globe cartography, comets and Irish mythology, western astronomy, Australian aboriginal sky astronomy and mythology, and cultural astronomy and astrology. These scholars acknowledge the presence of such a voice, in the sky's movement mirrored in the archoeastronomy of British prehistory, the apocalyptic myths of comets and meteors, the sky cartography reflected in European globes and frescoes, the Australian aboriginal sky myths, the issue of disappearing dark skies, and in contemporary reflections on the sky. 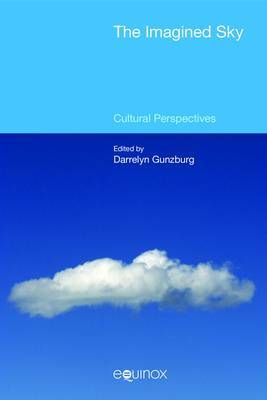 It recognises that sky imagery has persisted in similar forms since its potential roots in the Palaeolithic period.These eleven essays offer critical engagement in understanding the sky in human imagination and culture and contribute to the new fields of cultural astronomy and skyscapes, the role and importance of the sky in the interpretation of cultures, emerging within the academy.